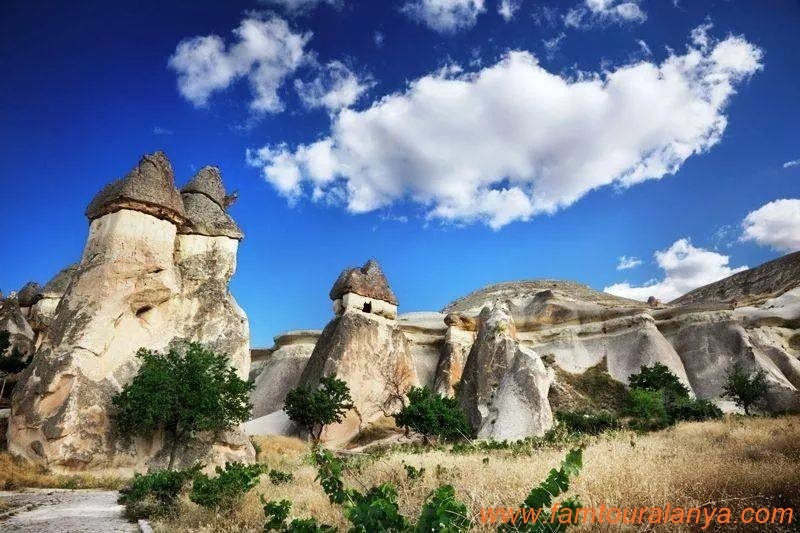 See the best of Cappadocia’s otherworldly landscape on a 3-day tour from Alanya! 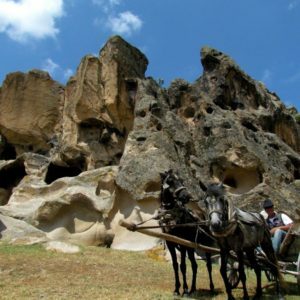 Hotel pick-up followed by transfer to Taurus Mountains in the Alpine belt of Central Anatolia. 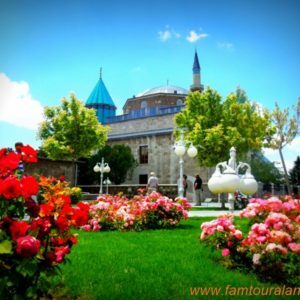 After breakfast you will visit the Mevlana Museum at Konya City and Mausoleum of Mevlana Whirling Dervishes. 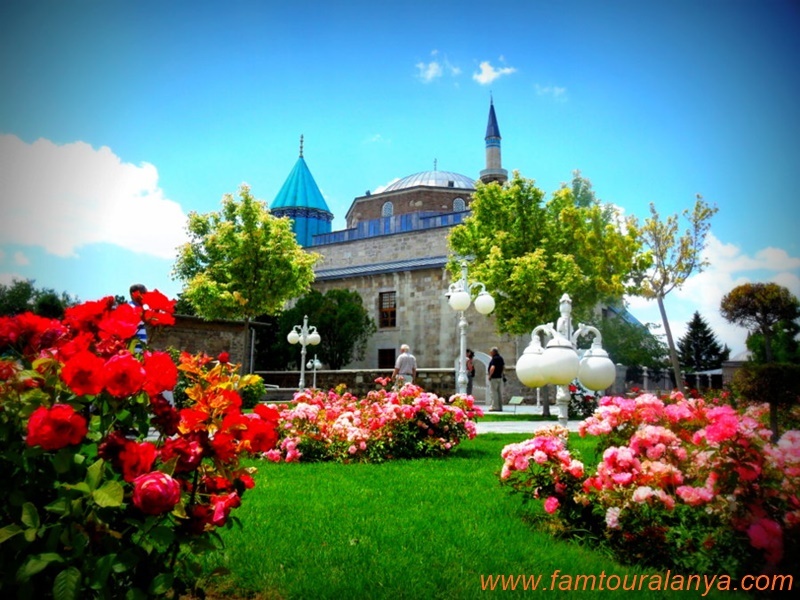 Next stop is the Caravanserai of Sultanhani in Aksaray after lunch break we explore the underground city of Saratli Kirkgöz. 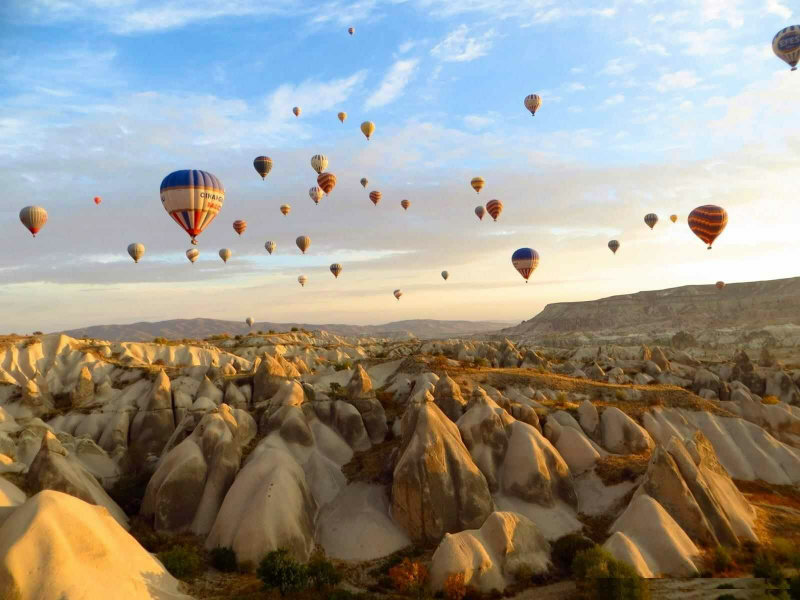 Arrive in Cappadocia and check into hotel for the evening. 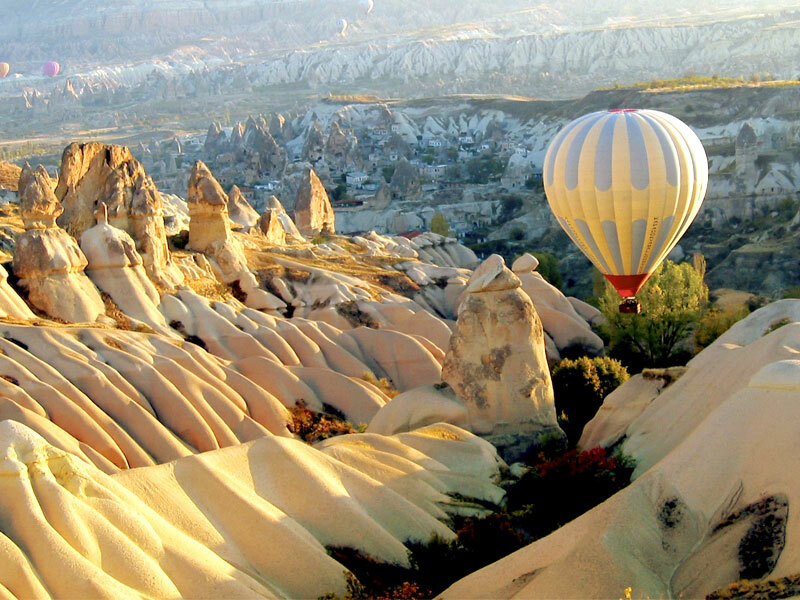 Spend the day exploring Cappadocia and the Devrent Valley region. 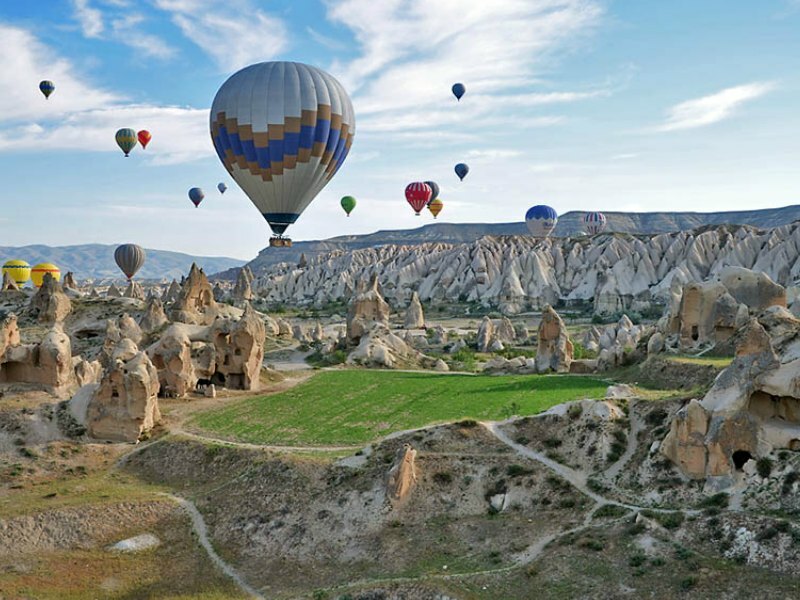 The day includes visits to the Pasabag Valley, Göreme Valley and town of Göreme, a beautiful town nestled among the fairy chimneys. After lunch travel to Cavusin Village. In the evening there is the optional extra of a whirling dervish show. earthenware pottery. 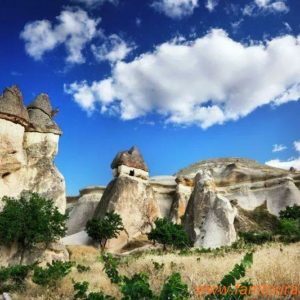 See Kizilirmak River, the longest river of Turkey.You will stop at a pottery centre visit the 3 Beauties fairy chimneys. 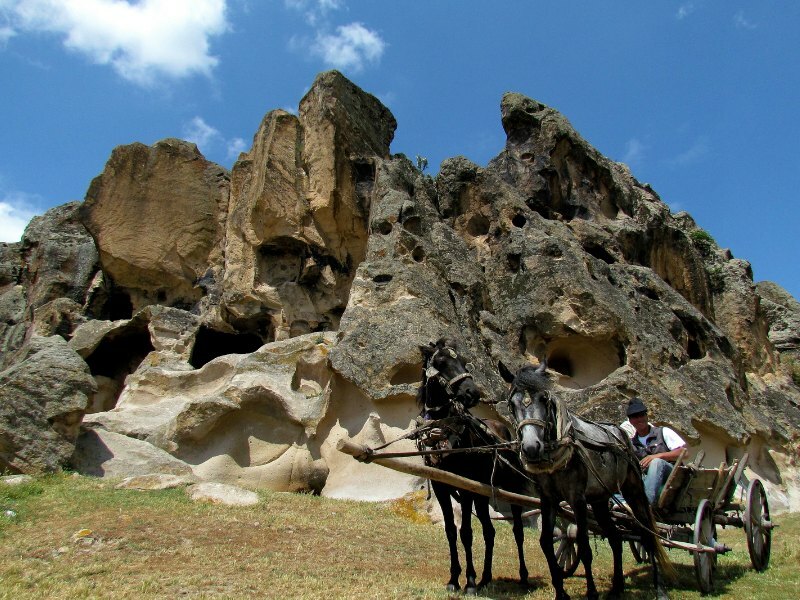 Enjoy a lunch break at Aksaray on the famous Silk Road trade route. 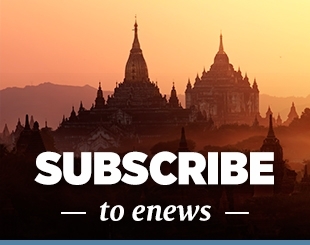 Please feel free to include this as a comment/reference on your website. Thanks for making our Alanya trip in Sept 2015 extra special. We enjoyed our trips with Fam Tours It's easier to forget to say thanks than remember to complain. Our trips were Sept 2015. 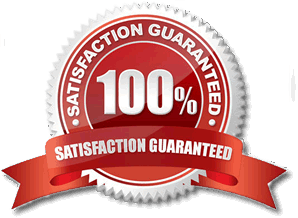 They were happy to help us get what we wanted, not just force tours to get custom. 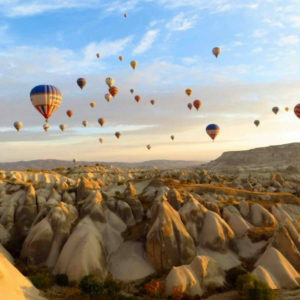 Cappadocia in particular was fantastic. Great character hotel. 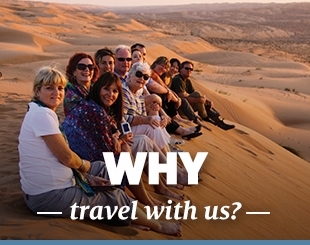 Our family have no hesitation in recommending or booking tours on our next hol. 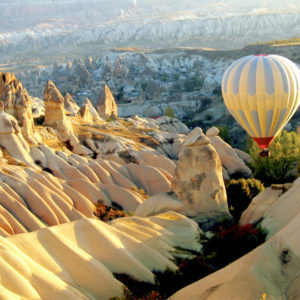 We booked the 3 day / 2 night Cappadocia tour which was great. The manager, Halil gave us excellent service. Firstly he came twice to our hotel to deliver the Tour tickets. The first time he came, we had not yet arrived. So he came again. 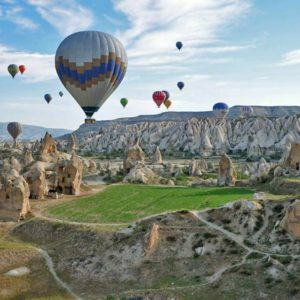 Halil also went out of his way to pick up our suitcases from our hotel the next day and keep it in his office while we were on the Cappadocia tour. We collected it on our return. We recommend this company to anyone visiting Alanya.Yusuf Ebrahim/ South Africa.